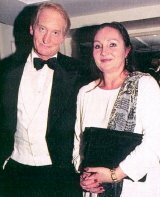 Walter Charles Dance was born in Redditch, Worcestershire in 1946. His father was a civil engineer who died when Charles was only four years old. He has an older brother, Michael. After his father's death, the family moved to Plymouth. Charles left Widey School, where he excelled at basketball, and went to art school to study photography and graphic design. He left before he had completed his course when his keen interest in acting took hold, and he received private coaching from two retired, RADA-trained actors. Avon. 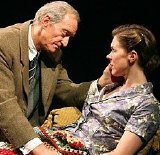 Later theatre work has included The Three Sisters (1998) in Birmingham; Samuel Beckett's one-man play Eh Joe (2007) in Sydney, Australia, and as C S Lewis in the 2007 West End production of Shadowlands at Wyndham's Theatre. 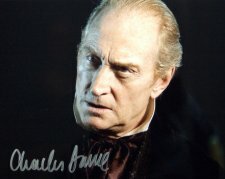 Roles in two memorable adaptations of Charles Dickens novels did Dance's reputation no harm - he played Ralph Nickelby in The Life and Adventures of Nicholas Nickleby (2001), and most memorably, the dastardly lawyer Tulkinghorn in the star-studded, BAFTA-winning Bleak House (2005). Spencer in an episode of Foyle's War (2002). 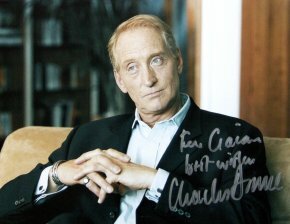 Charles Dance has appeared in numerous films, notably Plenty (1985) with Meryl Streep; The Golden Child (1986) with Eddie Murphy; White Mischief (1987) with Greta Scacchi; Pascali's Island (1988) with Ben Kingsley and Helen Mirren; Alien3 (1992) with Sigourney Weaver; Kabloonak (1994) winning him a 'best actor' award at the Paris Film Festival; the multi-award winning Gosford Park (2001) and Swimming Pool (2003) with Charlotte Rampling. In 1981, Dance made a cameo appearance in the James Bond film For Your Eyes Only and in 1989 played Bond's creator, Ian Fleming in Goldeneye (not to be confused with another Bond Film with the same title). 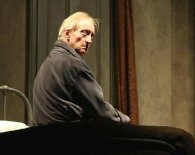 In 2004, Charles Dance produced, directed, and wrote the screenplay for Ladies in Lavender (2004), starring Judi Dench and Maggie Smith, who also appeared with him in the Oscar-nominated film Gosford Park. 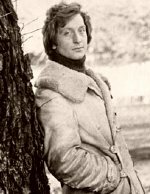 Dance married his wife Jo, a painter & sculptor, in 1970 but they divorced in 2004 after 33 years of marriage. They have two children Oliver (b.1974) and Rebecca (b.1980). 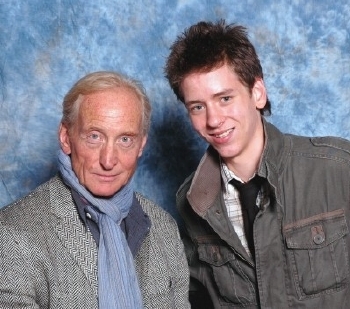 It was a real thrill to meet the distinguished actor Charles Dance at the London Film & Comic Convention, held at Earls Court in July 2008. 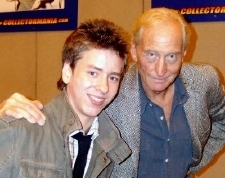 I knew him best from his role as Clements in Alien3 and I was able to chat to him about it. 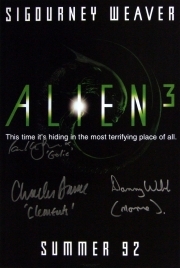 He signed my Alien3 masterprint, my autograph book, my lithograph of For Your Eyes Only, and 2 photographs which you can see below. I also had my photograph taken with him.